He calls it SSITVTDTUSS:AMMTPRPG, for short. No, seriously. Welcome to Scurvy Scallywags in The Voyage to Discover the Ultimate Sea Shanty: A Musical Match-3 Pirate RPG, or SSITVTDTUSS:AMMTPRPG, for short. That's the honest-to-Davy Jones, no it's not a goof title of Ron Gilbert's latest, the game he skipped from Double Fine to make. Gaze upon the glory of screenshots! Watch out for that parrot; he has the look of the Devil about him. "A little over a year ago I pulled a match 3 prototype out of the closet and started working on it," says Gilbert in a blog post. "There was something about the way the board collapsed in Realms of Gold that I really liked." 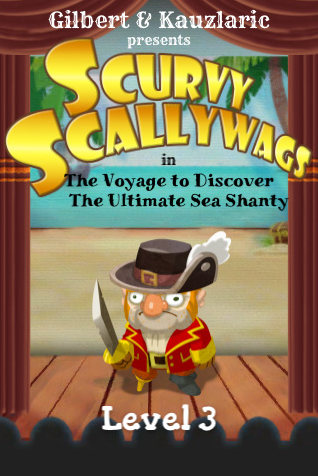 Hence Scurvy Scallywags, in which your pirate avatar roams the board seeking booty. When he first came up with the idea, publishers told Gilbert that there wasn't any demand for a match 3 RPG. Shortly afterwards, along comes Puzzle Quest, the archetypical match 3 RPG. Not that Gilbert's bitter; he knows there's plenty of games to be made. 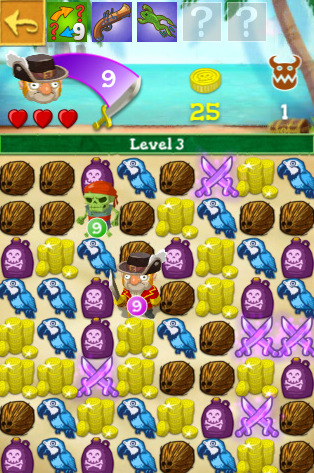 The board collapses in the direction that you swipe, giving you a measure of control over how things match up, and that means your pirate avatar can get personally involved in the match 3 madness. "You actually move your hero/pirate around the board and position her/him next to enemies to do battle," says Gilbert. "It creates this new layer to the matching that is a lot of fun." Yes, there will be hats. 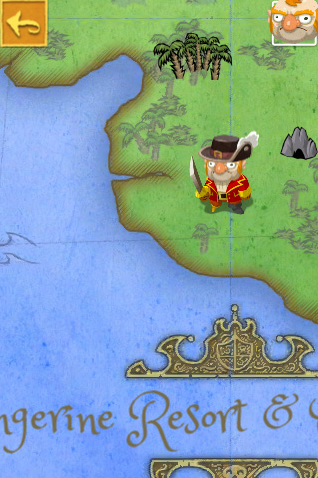 Also swords, different heads, and any number of extra what-nots, with which you can customize your budding Blackbeard. 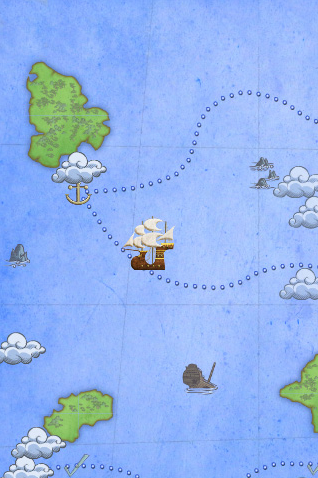 "There are also ten different ships to build," says Gilbert, "plus a sea shanty you collect that is sung by real life pirate singers (they work for grog, quite inexpensive)." Gilbert hopes to have this out within the next month or so, at least for Apple mobile devices. Android might take a little longer.